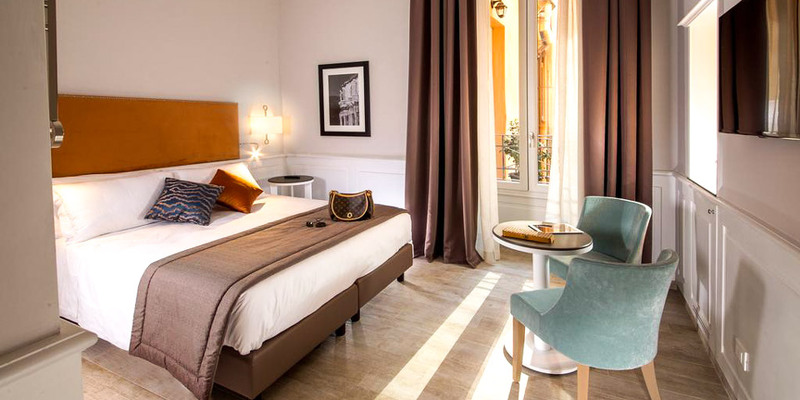 Booking a hotel near Termini station in Rome makes sense if you come to the Italian capital for a couple of days or you are going to travel by train to Florence, Milan, Venice, or Naples. Moreover, this location will allow you to access easily any point of the city using public transport or by long walks. Also, the cheapest option to get to the Eternal city from both airports is by bus which goes to Roma Termini. 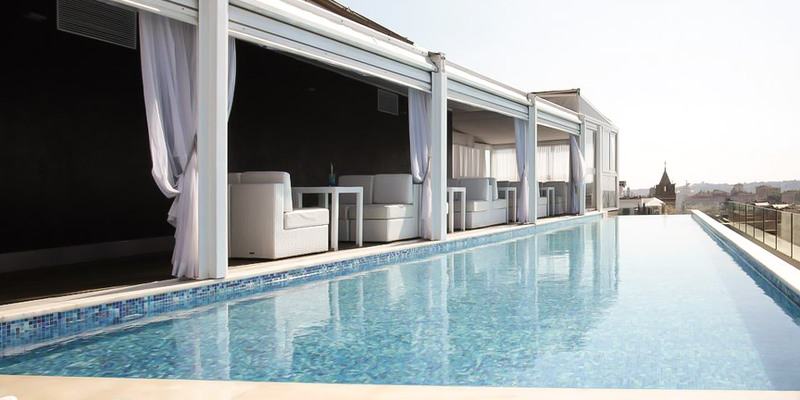 Boscolo Exedra Roma is a 5-star hotel located in Piazza della Repubblica and has a panoramic rooftop terrace with swimming pool. The rooms are spacious and decorated in a combination of classic and modern styles. Moreover, there are three restaurants which offer meat, salads, and dishes made from fish. 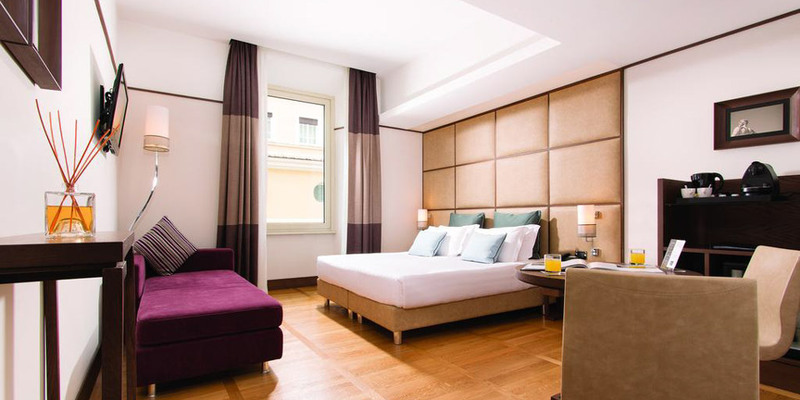 Boscolo Exedra Roma is an excellent choice for travelers interested in shopping, sightseeing, and history of Romans. Viminale View Hotel features free Wi-Fi, private parking, and the on-site bar. Moreover, there is an air conditioner, flat-screen TV, kettle, complimentary toiletries, and a hair dryer in each room. Viminale View also offers bike rental. The hotel is an excellent choice for travelers interested in Italian cuisine, roman ruins, and shopping. Princeps Boutique Hotel is a 3-star accommodation in the Monti area has the on-site bar and room with all facilities. Moreover, Domus Aurea and Quirinale Palace are just 500 meters from the property. Princeps Boutique is the right choice for travelers interested in Roman ruins, Italian cuisine, shopping, and sightseeing. The Fifteen Keys Hotel in the Monti area has a terrace with views of the city and the on-site bar. Moreover, all rooms are equipped with the main facilities. This 4-star hotel provides free use of bicycles and car rental. 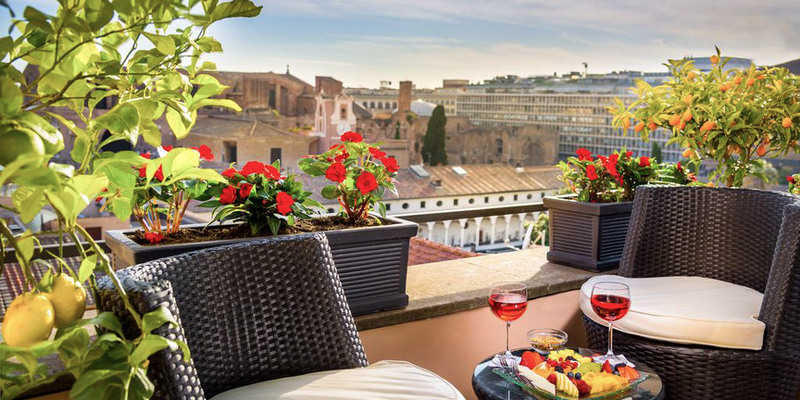 This property would be an excellent choice for travelers interested in roman ruins, Italian cuisine, and history of the Eternal city. 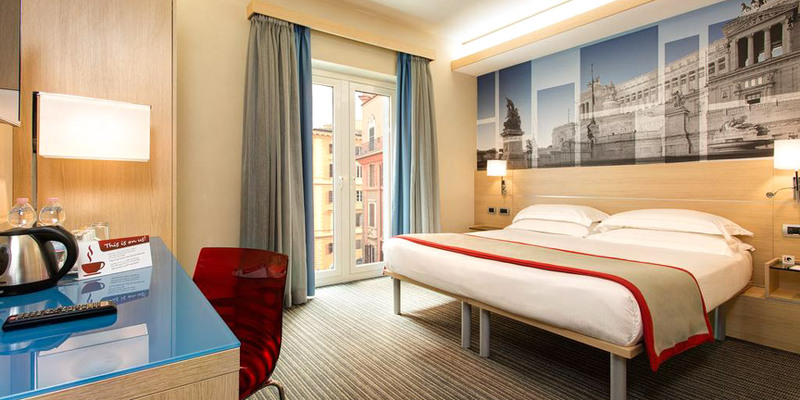 iQ Hotel Roma has 5 floors with 87 rooms, where each of them has all facilities for you to enjoy Roman holidays. There are an airport shuttle and train station pick up services. 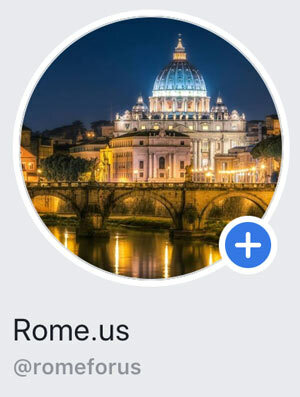 Moreover, this 4-star hotel is surrounded by many famous sites of the city and well-connected with public transport and trains to reach any point of Rome or any other town in Italy. The Artemide is in a 19th-century building located on Via Nazionale. There is a free minibar and Wi-Fi available in each room. Moreover, this 4-star hotel has a spa with sauna, hot tub, Turkish bath and many different treatments. 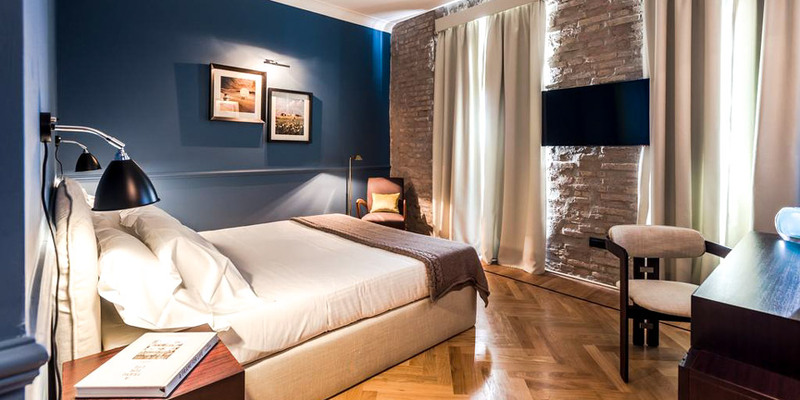 Hotel Artemide surrounded by many Roman main sites, easy accessible by public transport. Hotel Diocleziano is a 4-star accommodation offers free gym and sauna and located next to the Terme di Dioclezioano ancient Roman baths. Each room has an open minibar, Wi-Fi, air conditioning, tea and coffee-making facilities, and an LCD TV. Additionally, the staff is amiable and can help you with any tourist information or to book museum tickets and arrange messages. The Independent Hotel has a fitness center, terrace, free Wi-Fi and rooms equipped with main facilities for your vacation. Moreover, Piazza Barberini and the biggest European university La Sapienza are just 1 kilometer away from the property. The staff is very professional and always willing to help. 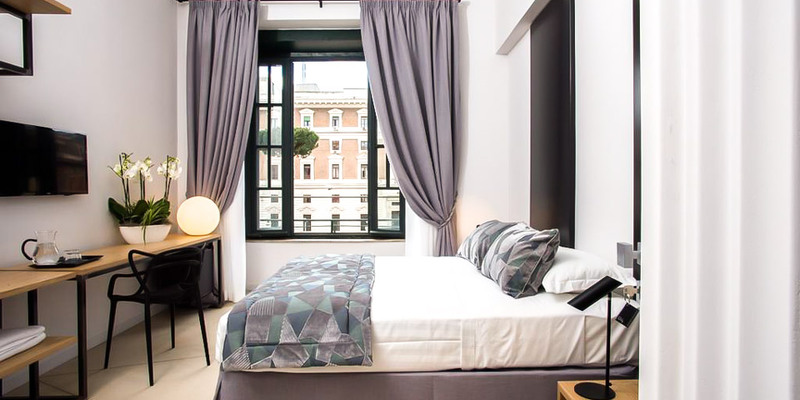 If you are going to stay in Rome for a couple of days, or travel to other Italian cities by high-speed trains, an area near the Termini Station would be perfect choice for your accommodation. Moreover, prices for hotels are cheaper than in the historical center, while rooms and service are still on the high level. From Termini station you can reach any point of the city. This is not the most beautiful area of the Eternal City, but Termini neighborhood is quiet and full of restaurants with international cuisine.